As an Affiliate of the National Association for the Education of Young Children, Iowa AEYC has a history of supporting evidence-based, developmentally appropriate practices through our efforts, both in professional development offerings and in our communications and advocacy work. Iowa AEYC is an approved training organization in Iowa legislation and per the Iowa Department of Human Services, which require state-wide policies to offer training. Iowa AEYC partners with local ECI chapters to register training opportunities in their regions on the Iowa Child Care Provider Training Registry. Contact us to schedule a workshop or conference presentation, or for more information: info@iowaaeyc.org. Assessing Your Professional Development Providing quality child care for young children requires commitment - but doesn’t come with a big paycheck. Enhancing personal professional development is a great way to move forward to provide quality care and education, and to develop as a leader and professional. Topics include the “carrots and the sticks” that require and inspire us to consider new choices for training as well as higher education opportunities, CDA credentials, accreditation, and options for a personal professional development journey. NAEYC Accreditation: Why is it important? Gain an overview of the accreditation process. Learn what program accreditation can do and receive resources to navigate the process. Directors of accredited programs often co-present to provide important insights. Do you have experience in the Early Childhood field and have 120 training hours? Are you thinking about earning your Child Development Associate (CDA) Credential™? Have questions about the requirements and process? Do you have some early childhood training hours or past early childhood college credits but need more information on how those translate into a CDA credential? If you answered yes to any of these questions, this training is for you! Come find out how you can get a CDA credential using your training hours. T.E.A.C.H. Counseling Specialists will walk you step by step through the process and requirements to earn the CDA and share information on resources and T.E.A.C.H. scholarships available to help you. The CDA – Is it for You? We’re all professionals – with many choices for our futures! Learn more about the CDA credential and various ways to earn the required training hours. We answer questions about the process and ways to receive support. Ever considered going to college? T.E.A.C.H. Early Childhood® IOWA can help! T.E.A.C.H. “101” Show Me the Money T.E.A.C.H. Early Childhood® IOWA provides scholarships for child care professionals earning an early childhood associate degree at a community college. Learn how to take advantage of this program. Bring staff to this session! T.E.A.C.H. for Program Directors Think you have staff who are right for the T.E.A.C.H. program, but not sure what participating means? Discover how to recruit the right staff member(s), how to manage release time, and receive answers to questions! Understanding T.E.A.C.H. for Consultants and Partners T.E.A.C.H. can help those who want a CDA, want a bachelor’s degree, want an early childhood endorsement, or anything in between! This is an overview of T.E.A.C.H. eligibility and the four components of the program. WAGE$: Improving Compensation for the Early Childhood Workforce Child Care WAGE$® IOWA provides education-based salary supplements to early care and education providers in Iowa. Learn how this program rewards individuals and incentivizes retention and additional education. Understand the benefits of play, make connections to constructive play, experience open-ended materials, learn the conservational ethics with play, and explore ideas about play. The training promotes and strengthens best practices of Play-Based Learning as a way to refine and encourage Developmentally Appropriate Practices for young children. NAEYC Code of Ethics: What SHOULD I Do? As professionals in the field of early childhood education, we work with one of society’s most vulnerable groups – young children. Daily, we face situations where we need to make decisions that affect children, families, co-workers, and our communities. NAEYC provides a Code of Ethics to provide direction and guidance for responsible decision-making. Share situations and discover solutions with others in attendance by using ethical decision-making. The ABCs of Iowa Child Care: Understanding the Acronyms Heard of ERS, ECI, IQPPS, NSO, or QRS? Learn the meanings and how they relate to each other! This workshop provides a general overview of the many early childhood initiatives and programs in Iowa, and describes how each contributes to the Iowa early childhood system. Early Childhood Iowa – System Building Toward a Common Vision Early Childhood Iowa works to create a system to support professional development for those who work in roles in early learning and child care, special needs and early intervention, family support, and health, mental health and nutrition. Come and learn how we fit in as professionals. Leadership Development and Professionalism Am I a leader? Do I manage others well? Or do I just keep my head above water? The demands of our field require us to take on roles leading other adults, although we were trained to teach their children! Join the discussion to understand the difference between leadership and management, and share how to add to our plates without overwhelming ourselves. We’ll talk about what motivates each of us to be leaders and what our field needs leaders to become. Join the active conversation! Advocacy and Public Policy Advocate for children! Learn about the Iowa legislative process and how a bill becomes a law. Learn how to be an effective spokesperson for the children and families you serve every day. Share stories of advocacy and learn new tips to work with policymakers and community partners. Early Childhood Iowa Professional Development Overview Early Childhood Iowa works to create a system that supports professional development for those who work with, or provide supports, to children from birth to age five and their families. Come and learn why professional development is ongoing and necessary! Getting to know the Iowa Early Learning Standards Assisting those teaching or caring for young children? Using the Iowa Early Learning Standards? 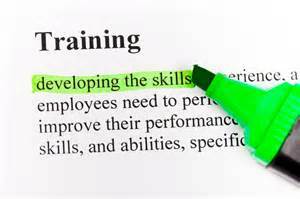 Working as a trainer or administrator, and need more information? This session increases awareness of the revised Iowa Early Learning Standards and how they impact children, families, and program settings, as well as effective adult learning strategies to increase awareness with others.